The social sector needs a design organization that is willing to do things differently. At IDEO.org, our goal is to improve lives through design. Which means that we are designing for impact, building partnerships with organizations that know how to bring innovative solutions to life, and continuing to evolve the products, services, and experiences we design even after they're out in the world. Every solution starts small, and at the moment, many of ours are. But we're eternal optimists, and we're tracking our solutions as they continue on their steady trajectory of improved lives, stronger communities, and brighter futures. We create new products, services, and experiences. We empower others to become creative problem solvers. We tell stories of human-centered design in action. There’s no standard roadmap for how a mission-driven design organization like IDEO.org tracks and understands its impact on the world. So, true to form, we’re designing one. Here’s what we’ve learned so far. 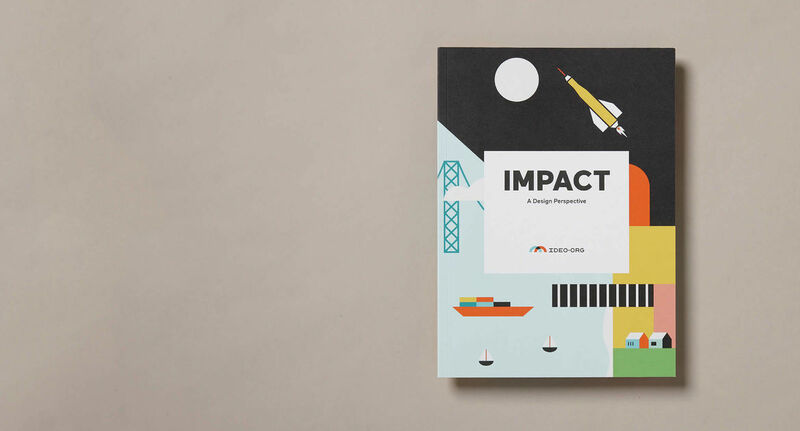 After four years, 64 projects, and countless prototypes, we’ve sat down and thought hard about how a mission-driven design organization makes real impact in the world. Turns out, like everything else in human-centered design, it begins and ends with the people we serve.